The images that make up the photo series Madonnas by Katarzyna Widmanska, a photographer based in Warszawa, Poland, are visually striking. Inspired by the historical and religious artworks revolving around Mother Mary and Baby Jesus, models Nela Ly, Alicja Sułek and Joanna Grabska take on the role of the former for a powerful photoshoot that will speak to people on many different levels. 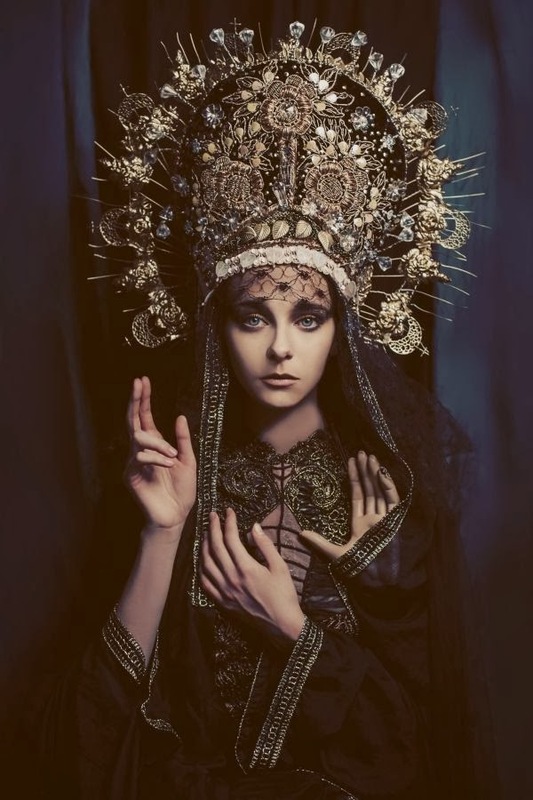 Although clearly a fashion photoshoot, Madonnas by Katarzyna Widmanska is so beautifully executed that it is sure to resonate with more than just fashionistas. 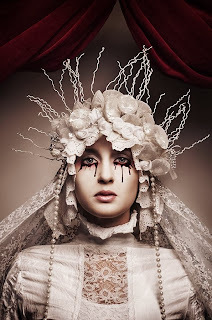 Nevertheless, it showcases the costume designs of Katarzyna Konieczka. Captured in studio against various curtained backdrops, each image is full of emotion and reverence. The looks were perfected with flawless faces by makeup artists Kasia Świebodzińska and Magda Moniczewska and hair by Wojtek Kasprzak.